TODAS A LA CALLE A DEFENDER NUESTROS DERECHOS QUE NADIE NOS LOS REGALO. AGRADECÉLO A LOS MOVIMIENTOS FEMNISTAS QUE HAN ESTADO EN LA CALLE REIVINDICANDO LO DE TODAS. 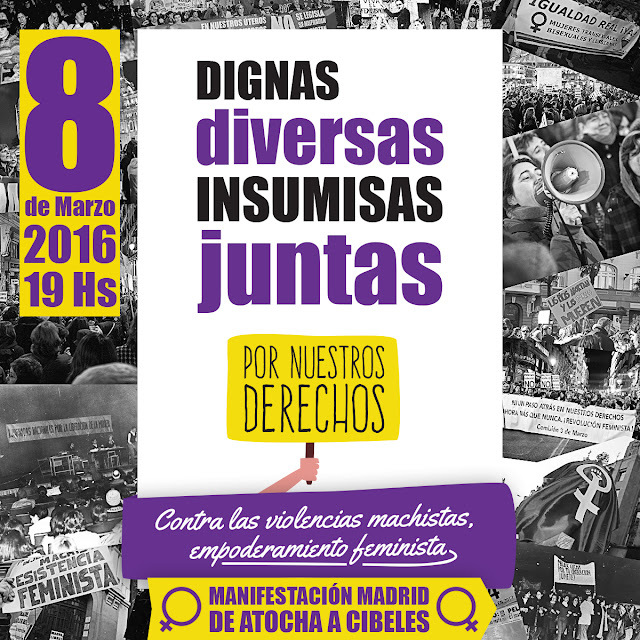 This entry was posted on 22 de febrero de 2016 and is filed under 8 de Marzo,agenda,Derechos Humanos,Feminicidios,feminismo,inmigrantes,liderazgo,Migración,Migrantes,Mujeres,participativo,política. You can follow any responses to this entry through the RSS 2.0. You can leave a response.